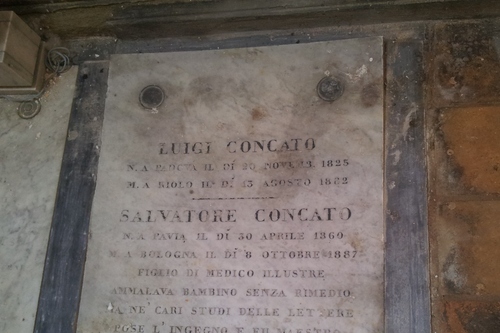 In summer 1882, during a stay in Riolo Bagni (Ravenna) where he was director of the local spa, Luigi Concato caught pneumonia and died on the 13rd of August. 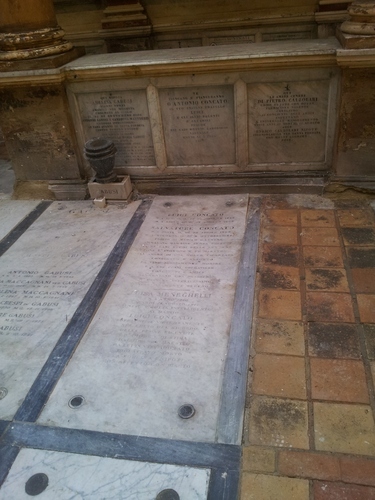 According to his will, he was buried in the Certosa Cemetery of Bologna. His tomb, in a very poor condition, can be seen in the east section of the Galleria Tre Navate (three naves gallery).